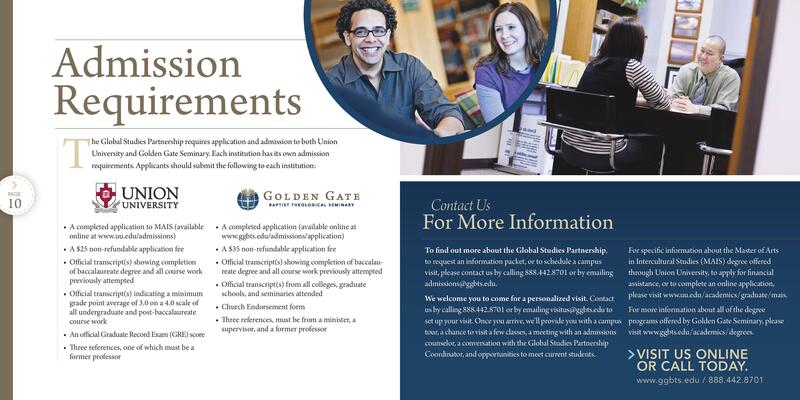 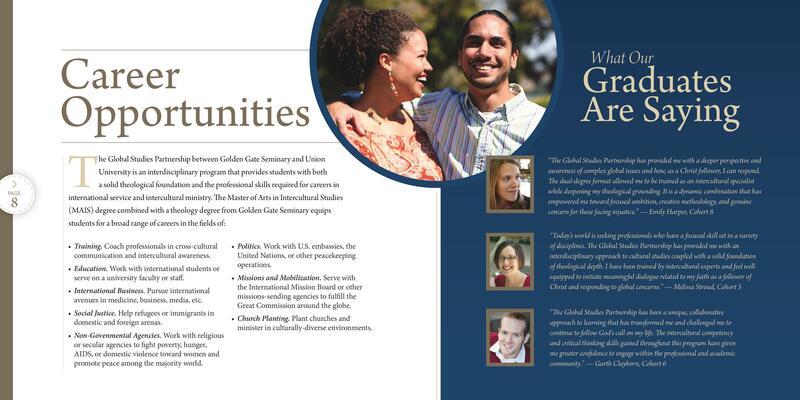 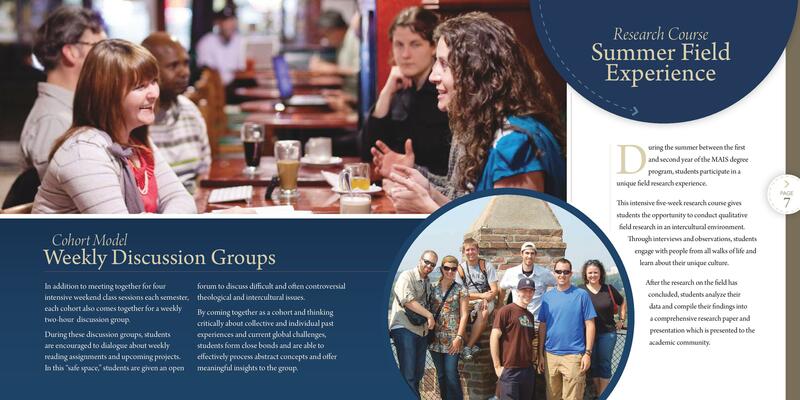 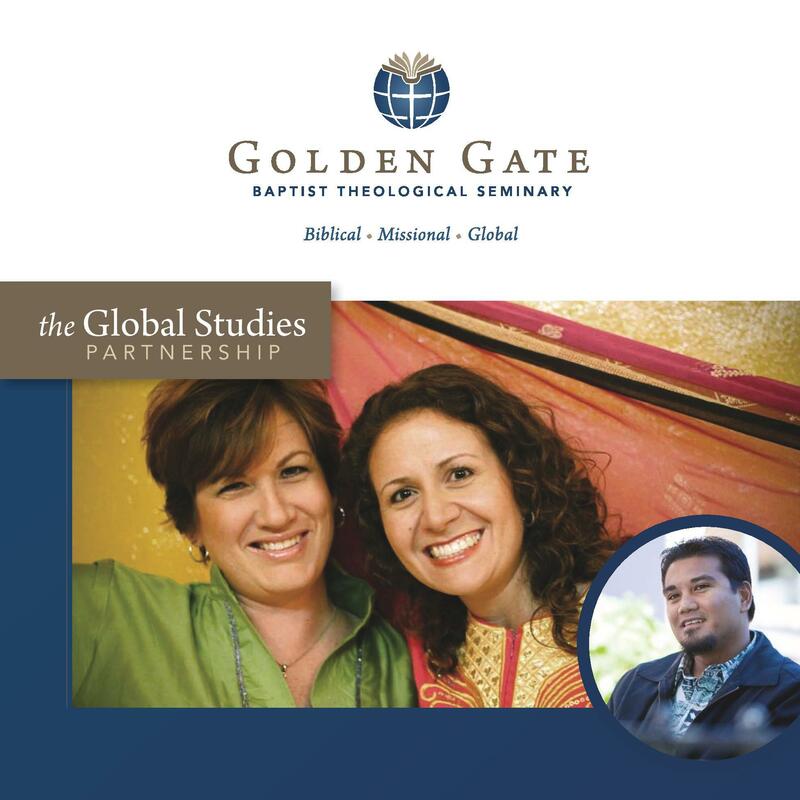 This 10-page booklet was designed by Details Communications to provide information to those wishing to enroll in a graduate program offered in partnership between Golden Gate Seminary and Union University. 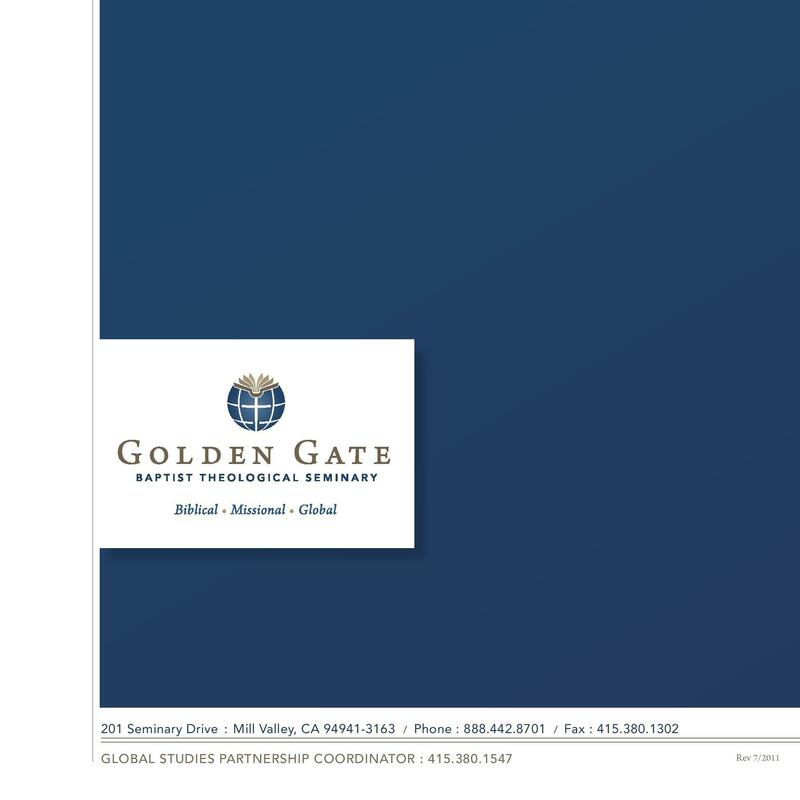 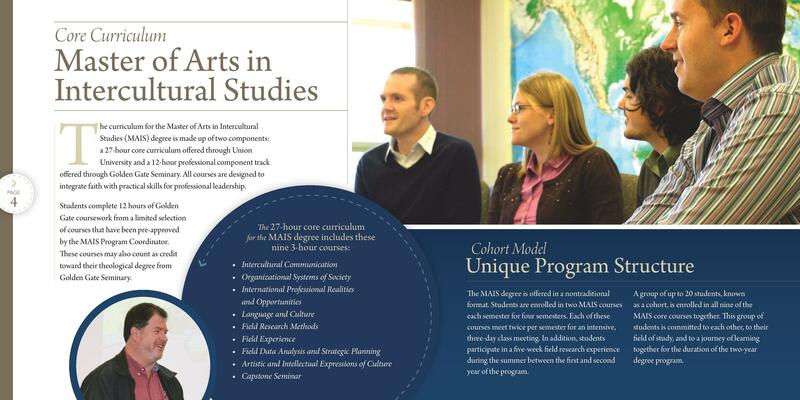 The challenge was to explain the Global Studies program and to describe the admission requirements, while ensuring the information was understandable yet complete. 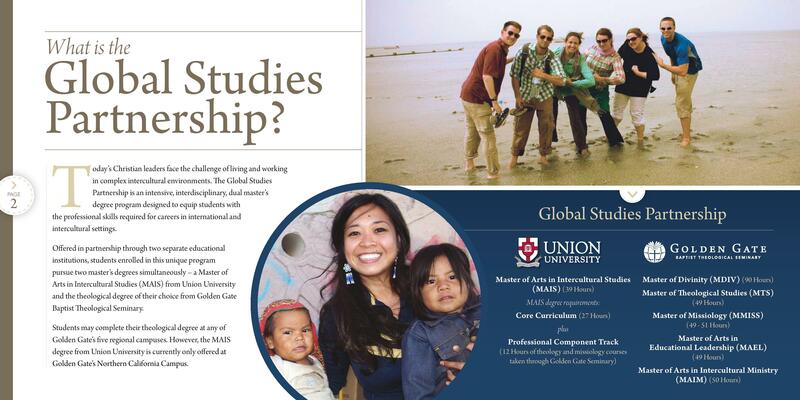 The booklet proved to be a successful recruiting tool for this unique and popular graduate program.